I had a wonderful time when I visited the Upper Peninsula Research and Extension Center (UPREC) in Chatham, Michigan, for their annual Field Day July 26 that took place from noon to 5 p.m.
Attendees and I toured the research plots at the center, including the multi-species variety trial plots that are part of a collaborative project with the Michigan Department of Agriculture and Rural Development. 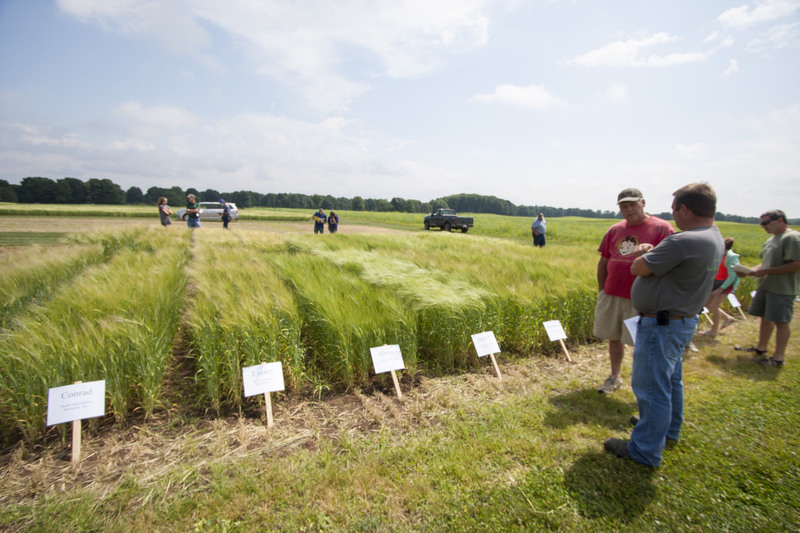 These plots feature variety trials that will determine which varieties grow best in the UP. Variety trial crops include barley, spring wheat, alfalfa, field peas and oats. Other research and outreach focuses at the center include managing soil, integrating crop and livestock systems, and bolstering local food systems. As always, Michigan State University faculty and staff were there to answer any questions. Visitors came not just from the UP but from all over the state. I was proud to be present for the launch of the new Research and Extension Advisory Council for UPREC. A dynamic and diverse group of council members has agreed to serve on this council. I was pleased to give the charge to the council and encouraged the membership that this is their council. AgBioResearch director Doug Buhler and I, as representatives of MSU, really want to receive input from them as to the local priorities for education and research. I indicated that we needed to have their critical feedback on what was going well, and where we need to improve programs and delivery. Dr. Buhler and I agree that it is very important for our staff to co-lead with council members in the community to improve the quality of life for all citizens. A shared agenda will reflect areas of need that council members have brought to the table from each of their organizations. It will not be just an MSU agenda. The center is the oldest of the 13 MSU AgBioResearch centers. It’s now operating under a new mission and vision, which is committed to taking a holistic approach to building an integrated food system in the UP. It’s the hub for Extension activities across the UP. Ashley McFarland joined UPREC in March 2013 as the center coordinator. See a photo of the UPREC Field Day on my blog.